An intimate wedding at the Governor’s House in Hyde Park is beautiful in any season. The simple elegance of the mansion is a perfect setting for an intimate wedding ceremony. With the Vermont mountains as a backdrop, the lawns are lovely for an outdoor wedding ceremony. And the elegant rooms inside are just as inviting. 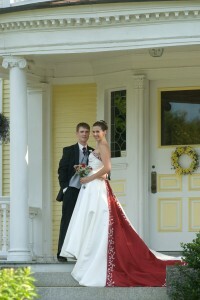 There will be plenty of opportunities for beautiful wedding pictures both inside and out. 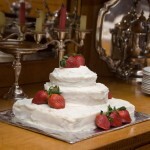 All the arrangements and menus for your wedding are custom designed to suit your style and your budget. 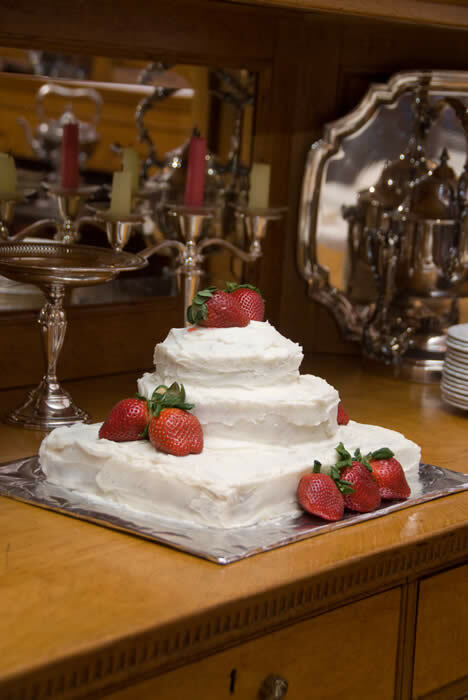 If it is to be a weekend of family celebration, we can help plan and arrange a variety of activities for participants of all ages and we can provide whatever meals you require. 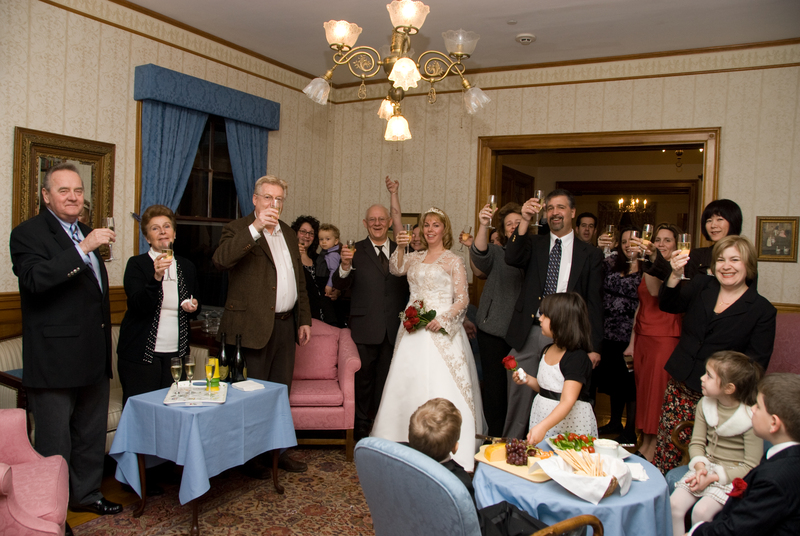 For a formal reception for fifty, we would offer a buffet in the dining room or perhaps outside on the portico. And if it’s just the two of you, a private candlelit dinner with a heart-shaped cake for two would just fill the bill. Whether it’s an elegantly formal intimate wedding or a small budget elopement, it’s the details that make it perfect. 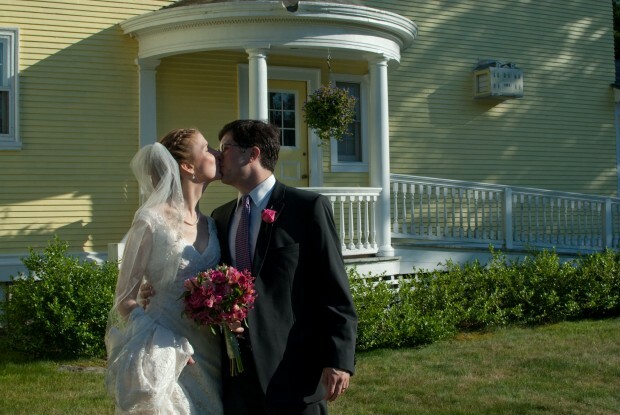 We can help with the marriage license for any couple who comes from outside Vermont. We can arrange a justice of the peace. We can recommend a good local photographer. In short, we can take care of all the little details that you don’t want to worry about and leave you to simply enjoy your intimate wedding day. Celebrating a wedding at the Governor’s House. Governor’s House wedding cakes come in many sizes. 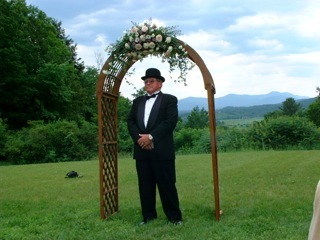 We can arrange for you rent this arch to decorate with flowers.